You cannot ask for much more. 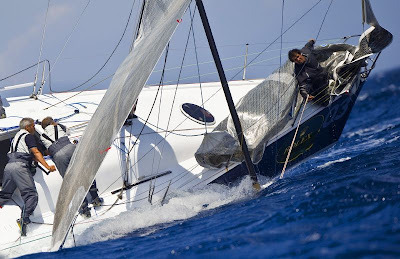 Tremendous racing conditions with a building Mistral and a lumpy sea, made worse by the constant attention of the spectator fleet. 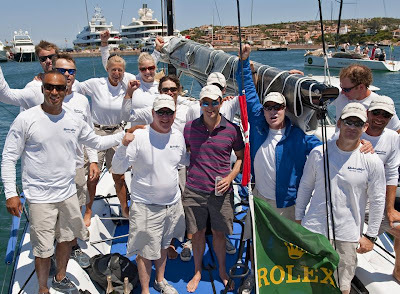 Porto Cervo laid it on thick and the Rolex Farr 40 Worlds 2009 delivered. 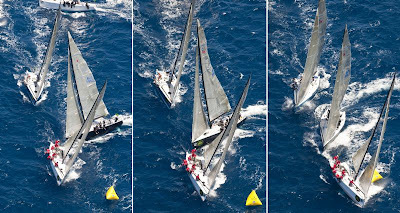 None more so than the new World Champions Barking Mad (USA) and runners up, Nerone (ITA). Two races were sailed in winds from the northwest that gusted to the mid-twenties and stretched the already tired crews on the last day of competition. 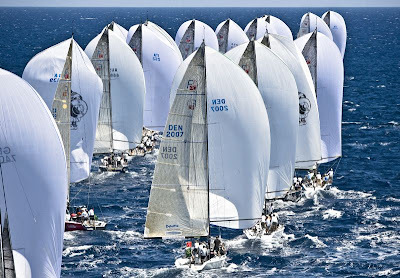 The scene was fit for a Championship finale and the two leading contenders made sure the curtain did not fall on the regatta without a flourish from those on stage. Nerone put her marker down to win the first race of the day and set up a winner takes all, second and final race - the tenth in this intensely fought series. 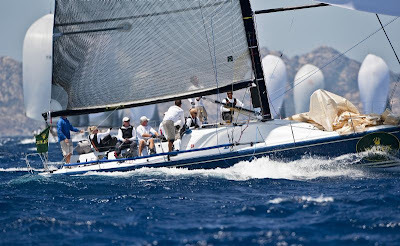 Mascalzone Latino, the three times World Champions won the race, but the all-too significant result was Jim Richardson and Barking Mad crossing the line ahead of Massimo Mezzaroma's Nerone to secure the title for a third time. The first time an American boat has won outside of their home waters. The day was all about who would cope best with the pressure. Without question both the two leading teams wanted the win desperately. Even Joe Fly (ITA) - runners-up in 2008 - could not be discounted. A sixteen-point gap to the front could easily be bridged if those ahead failed to keep their heads to the end.